Create-A-Lift the Flap Book – Make a custom flap book. 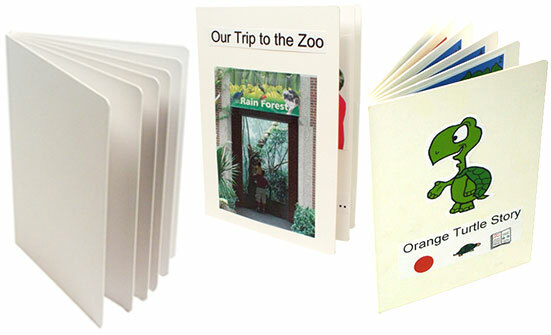 (2) Create-A-Board Books – Make a custom board book. Clear Create-A-Book – Make a custom book with clear pages. 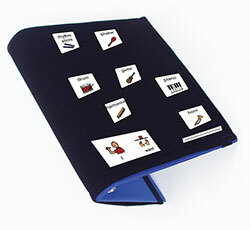 Double 4” or Single 2″ Literacy Strip – Organize your communication pictures in a neat row. Fabric Communication Notebook Cover – Cover any notebook with this soft fabric and attach your communication pictures.